Staff at the Duke of York’s went on strike on Saturday over wages, union recognition and infrastructure issues. The Duke of York’s is the fifth cinema in the Picturehouse chain to see strikes in recent months, and the first outside London. 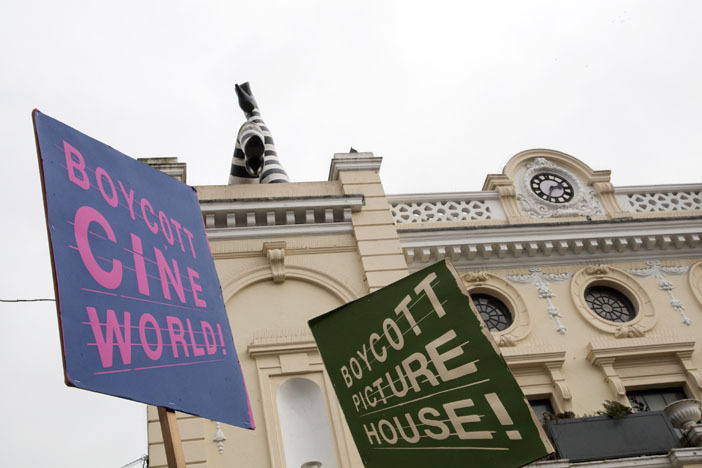 Around fifty people joined the picket line from midday, holding movie-themed placards and banners urging the public to boycott the cinema. The frequent hooting of horns seemed to suggest that many motorists gave their support. 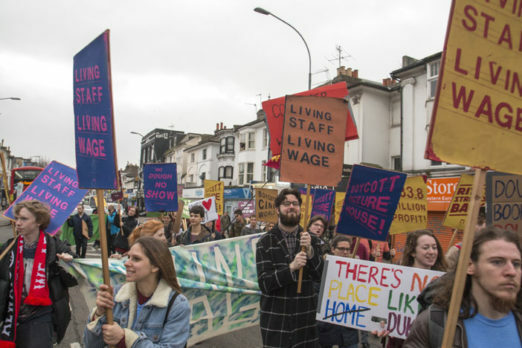 The front of house cinema staff, who voted unanimously to take action, are demanding a living wage as well as seeking recognition for BECTU, the broadcasting and entertainment union. In addition, the strike was spurred by ongoing technical problems which regular visitors might well be familiar with. Though this stuff is surely annoying for both staff and customers, it doesn’t make for great placards. 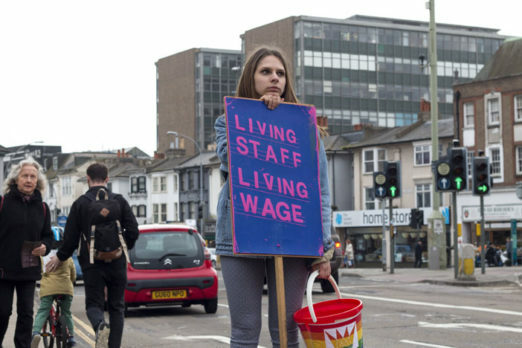 However, the main focus of the strike was to secure a living wage, which in Brighton is set at £8.45 an hour. Duke of York’s Picture House was built in 1910 and has a good claim to be the longest-running cinema in the country, if not the oldest. It was purchased and restored by Picturehouse Cinemas in 1994, an arthouse chain that was in turn acquired by Cineworld in 2012. 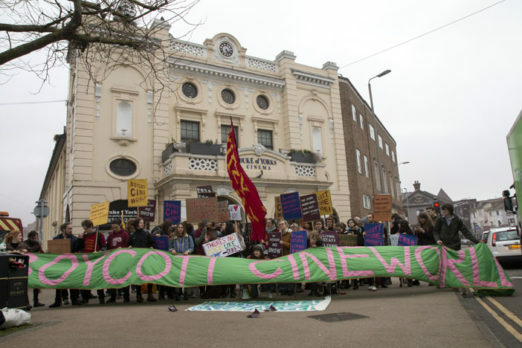 In 2014 another Picturehouse cinema, The Ritzy in Brixton, saw strikes over the living wage, and it was at the same place that the latest wave of action started. Other Picturehouse cinemas in Shaftesbury Avenue, Hackney and Crouch End have subsequently joined the campaign. On Saturday, several members of staff from London were in Brighton to show their support. Later in the afternoon the gathered crowd marched to Picturehouse’s other Brighton cinema, Dukes at Komedia. Follow the campaign on Facebook or sign the petition.